The only low-glycaemic carbohydrate providing balanced energy. PalatinoseTM is a naturally sourced smart carbohydrate, providing full carbohydrate energy (4kcal/g) in a more balanced way thanks to its low-glycaemic profile. By improving fat oxidation during physical activity, it prolongs energy supply. In addition, it is the first non-cariogenic carbohydrate, gentle on teeth. PalatinoseTM (isomaltulose) is purely based on sucrose from sugar beet. It is 100 % vegan, kosher, halal and non-GMO. It is generated through enzymatic rearrangement of the glycosidic bond between glucose and fructose from an α-1.2 linkage in sucrose and an α-1.6-glycosidic bond in PalatinoseTM . The new molecular linkage of PalatinoseTM is more stable compared to that of sucrose. PalatinoseTM has a mild, natural sweetness (approximately 50% of sucrose), without any aftertaste. It replaces sucrose on a 1:1 scale and can easily be combined with other sweeteners to achieve a unique and tailored sweetness profile. PalatinoseTM is a very low hygroscopic powder. It absorbs virtually no moisture and remains stable under harsh processing conditions, even at a temperature of 25 °C and relative humidity up to 85 %. Thanks to its low hygroscopicity, PalatinoseTM is a free-flowing powder that is perfect in powder drinks and blends. It even shows reduced water absorption in blends with other sugars and therefore significantly minimises the risk of caking and lumping. Derived from natural sugar beet. PalatinoseTM has a much higher acid and process stability than sucrose, highly relevant in isotonic sports drinks that tend to have a pH <3. PalatinoseTM supports maintained osmolality helps create refreshing and rehydrating isotonic, hypo and hypertonic beverages. Longer shelf life for glazed donuts & other baked goods. Due to a difference in water activity, donut crumbs tend to dry out and the topping becomes sticky over time. This can be countered by controlling water migration between both layers. Water activity of the glaze can be adapted to resemble that of the baked good by using PalatinoseTM. This safeguards the original softness and freshness of prevents stickiness of the glazing; for freshly or packed donuts with extended shelf-life. We offer ingredient types with a different granulometry. Our experts are keen on helping you identify the solution for your application. PSD: Particle size distribution; particle sizes apply for 90 % of the product. Above values are indicative and may vary per specific end application and process. A first-hand testimonial of athletes fuelling up on game-changing carbohydrates. Where fat oxidation in endurance sports is of utmost importance,… Palatinose™ is the key to success as it helps improve performance levels by releasing its carbohydrate energy in a more sustained way. New generation energy drinks have the athlete in mind. 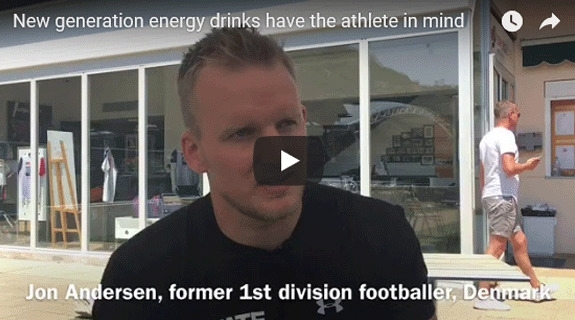 Danish athletes became entrepreneurs and developed a new generation energy drinks. John Anderson (STATE Energy) explains how they are now bringing the revolutionary messages to consumers. Expert webinar: Up quality & shelf life in glazings & icings. Lush icings and glazings can be a feast to the eye. This webinar shows how to apply Palatinose™ and its effect on freshly packed donuts in terms of shelf life and quality after defrosting. Let our experts walk you through the technical and physiological benefits of our ingredients, market insights, consumer concepts and recipes based on top-level food engineering. 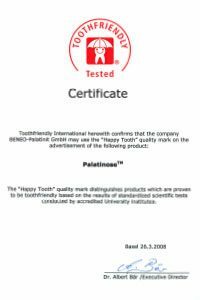 Palatinose™ from BENEO is a certified Toothfriendly product since 2008. Get to know PalatinoseTM better. Our inspiring ideas offer new angles of product positioning towards end consumers and market insights. All concepts are substantiated by science, technologically sound and come with a regulatory guideline. Concepts are worked out by a team of dedicated food application technologists into concrete recipes that we share with you after extensive testing on lab. Find the ingredient you are looking for! Instant overview of technical and nutritional benefits per specified application.